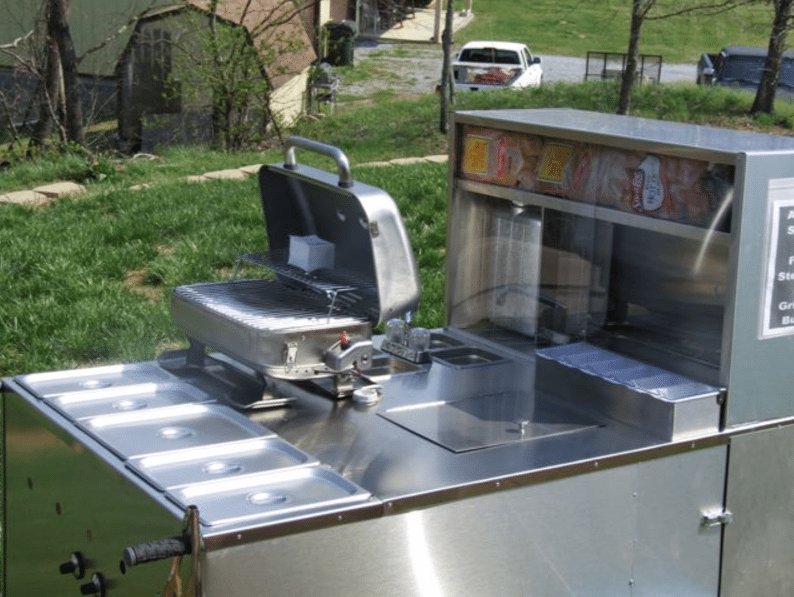 This is one of my top questions just about every day: Which hot dog cart should I buy? What's the best cart for me? Let me give you a quick explanation of this important decision! How to Choose a Hot Dog Cart? Thinking about a deep fryer? Most states DO NOT allow a deep fryer on a cart, so check your rules! How many sinks does your state require? Does your city restrict the size of your cart? Will you be using your cart on public or private property? Watch these videos for more discussion about getting informed and making the right choice before you spend a nickel on a hot dog cart! If you don't know the answers to these questions, you probably are not ready to spend money on a cart. Since I'm not in the business of selling people equipment they can't use, I really recommend that you do your “due diligence” before you buy anything. Go look at the free training and get the information you need so you can buy a cart that will be approved. You would not want to spend your money on a cart only to find out your inspector will not approve it.